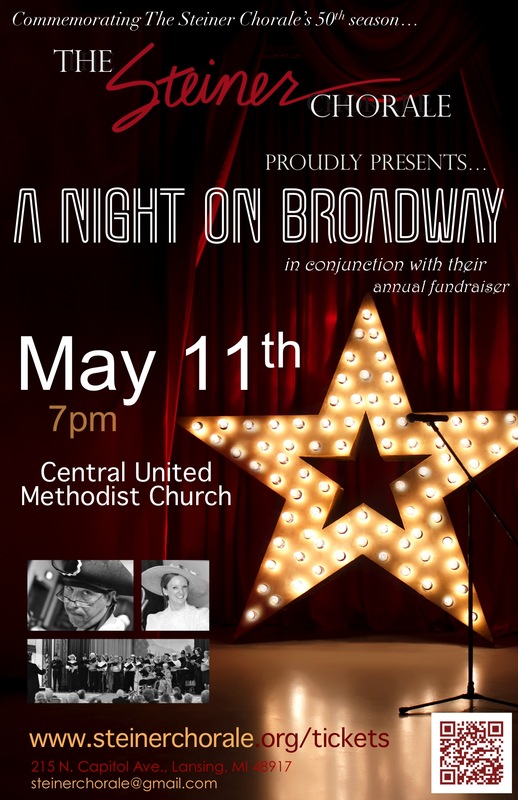 Come enjoy a collection of songs from various Broadway shows performed by soloists from the Steiner Chorale. 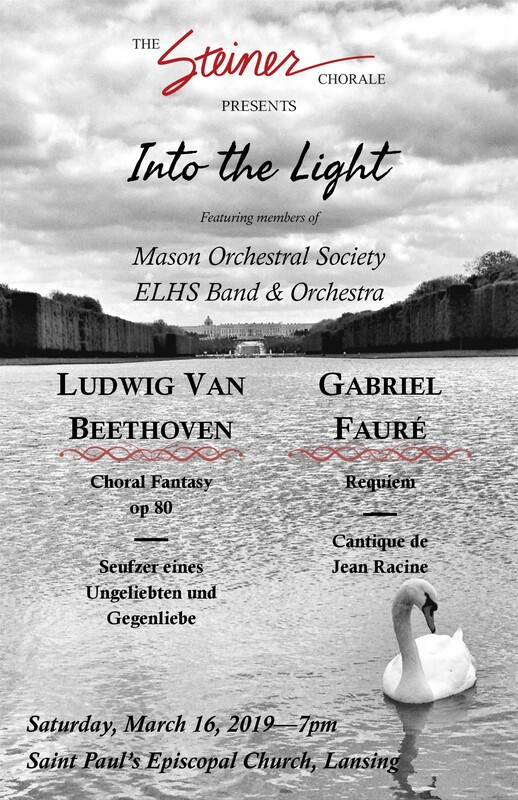 This performance is in conjunction with The Steiner Chorale’s annual fundraiser and continues the celebration of the Chorale’s 50th season. Light refreshments will be served. A silent auction will occur throughout the night of the concert. All people are encouraged to bid on items displayed, but certainly not a requirement to enjoy the concert. 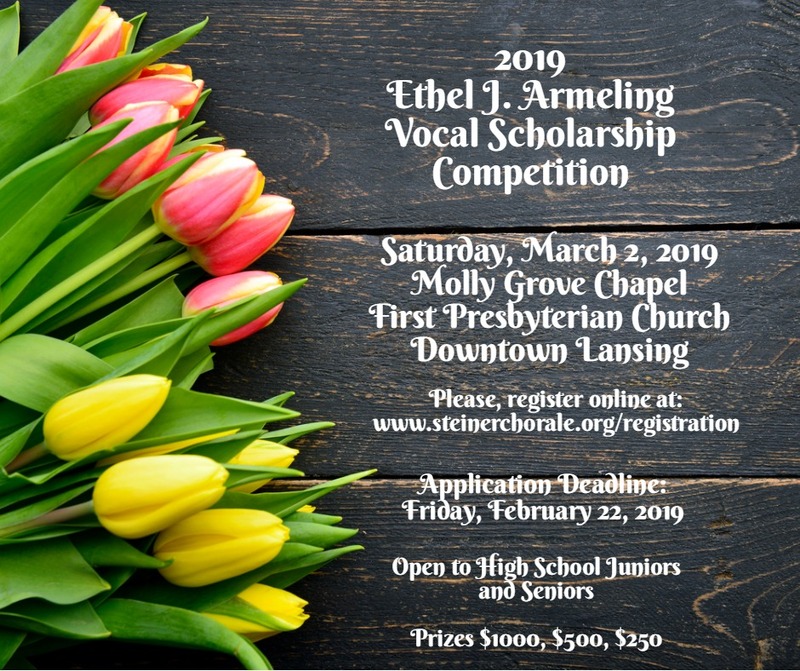 All proceeds go to fund the Chorale’s concert season and their sponsorship of the Ethel J. Armeling Vocal Scholarship, an annual competition for Michigan-area high school students. Purchase your tickets below.